The play shows a series of head-to-head encounters with a single Russian agent. The action takes place over the course of the Cold War, and continues through to the early 2,000’s. The prisoner is Raoul Wallenberg, the Swedish diplomat who was instrumental in saving the lives of over 120,000 Jewish people in occupied Budapest in 1944. The Russians had detained Wallenberg when they advanced on Budapest in early 1945. They were suspicious, partly because his efforts had received financial support from an American government agency. After his apprehension, Wallenberg was never seen again. 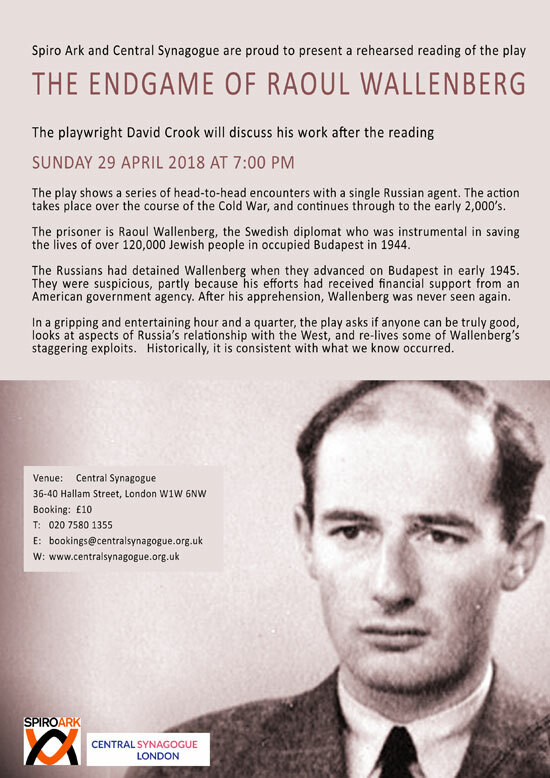 In a gripping and entertaining hour and a quarter, the play asks if anyone can be truly good, looks at aspects of Russia’s relationship with the West, and re-lives some of Wallenberg’s staggering exploits. Historically, it is consistent with what we know occurred.